This is another recipe that is made at our family gatherings. My grandson, Drew, is a vegetarian, so it works out really well to have mac and cheese along with everything else. This recipe makes quite a large amount, but can easily be cut in half to make a smaller amount. Cook pasta in boiling, salted water. Drain well and spoon into a large buttered casserole dish. Make roux of butter and flour and then add milk. Whisk until thickened. Add cheese and mix well. Add to pasta and stir well to combine. Bake 350 degrees for 35 minutes. 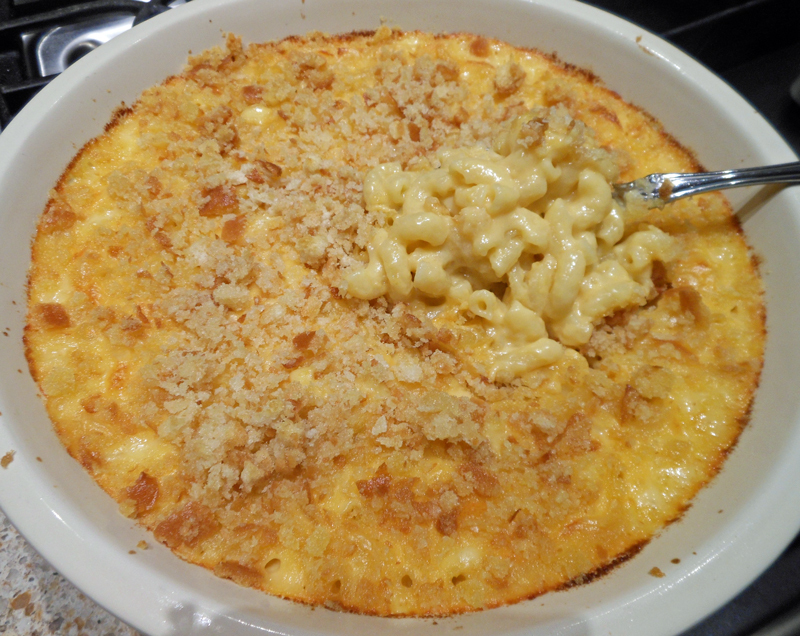 Note: If you like a nice crunchy topping on the mac and cheese, combine 2 cups breadcrumbs with 4 tablespoons melted butter and add to top of casserole the last 10 minutes of baking.